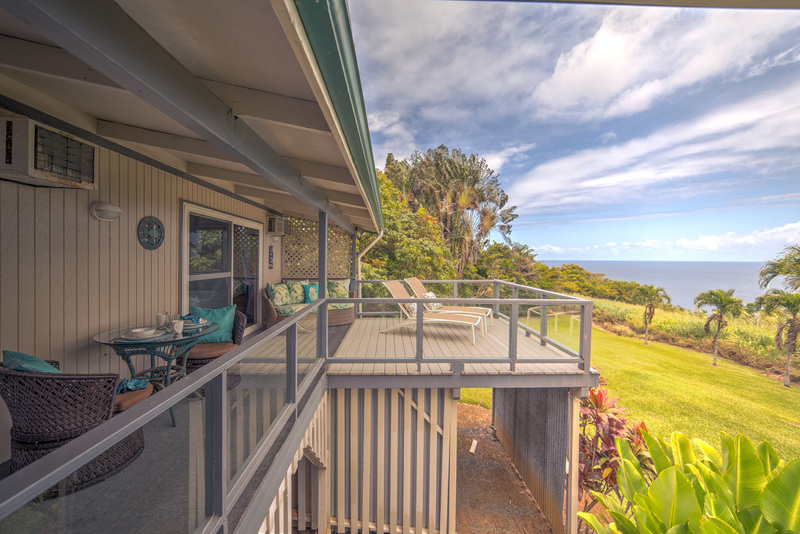 This beautifully decorated 4 bedroom, 2 bath home is located on a private acre parcel along the Hamakua Coast just north of Hilo where there is nothing to block your views of the mighty Pacific! The large open windows fill the home with light, beauty and magnificent views. Come during the winter months and you will have a front row seat for all the whale activity that you can possibly take in. 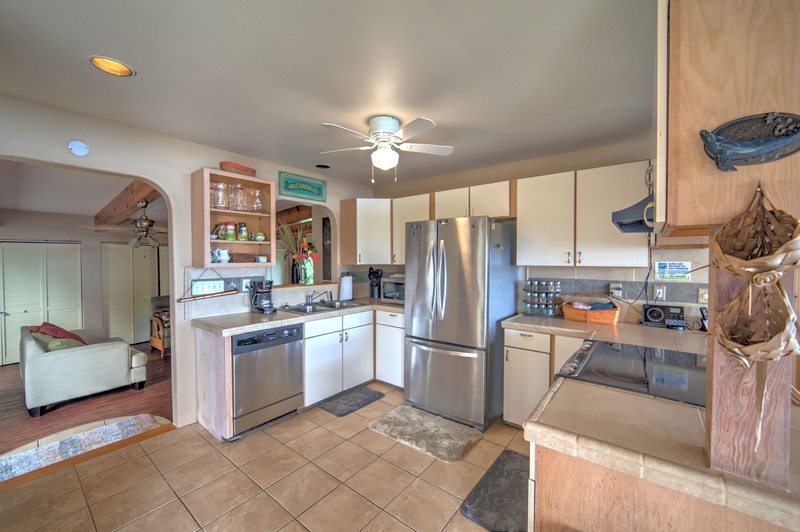 The kitchen is large and easy to work in and of course has all the amenities that you will need to cook up those scrumptious island meals. 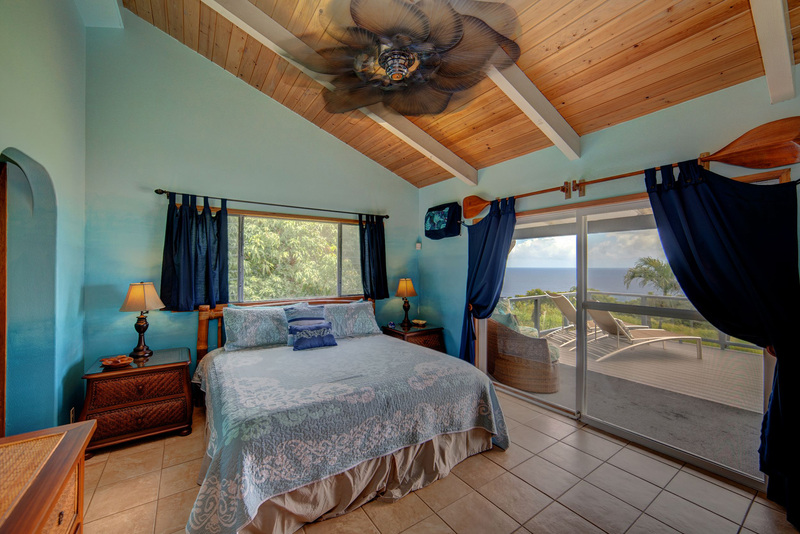 The master bedroom with its en-suite bath, king size bed, private ocean view lanai and entertainment center with TV and DVD is the perfect escape after a long day of sightseeing. 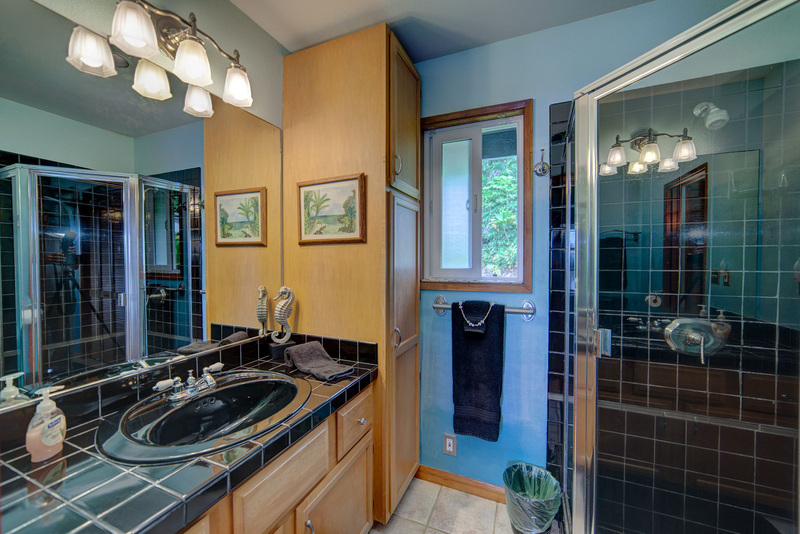 For the other members of your family and kids, there is a TV room, too with another flat screen TV and DVD player. There are 3 other bedrooms with a queen, a full size bed & one twin, and 2 twin sofa beds in the living room. Everyone gets their own space! 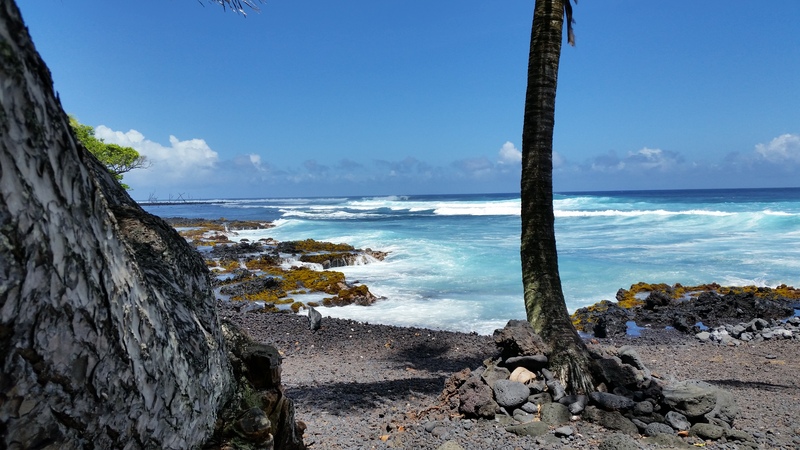 From this convenient location, explore old Hilo town with its great farmers market and historical museums and must see stops. 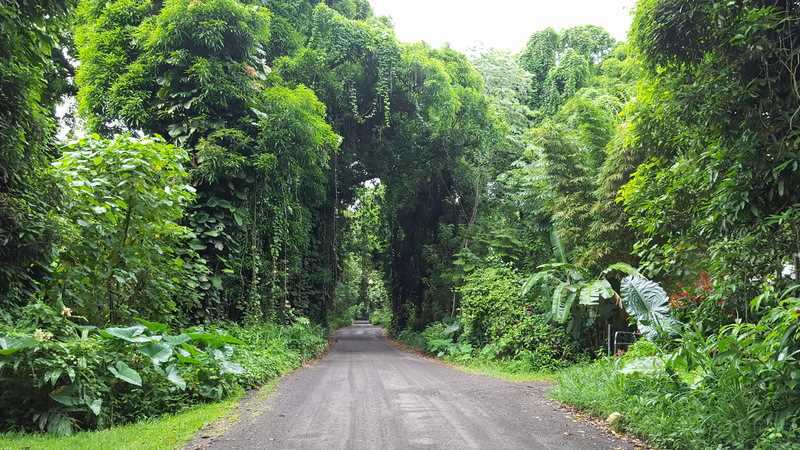 Also discover beautiful Akaka Water Falls Park and the Old Mamalahoa Highway, the original highway built back in the 20’s that took you from Hilo town to the beautiful horse country of Waimea. 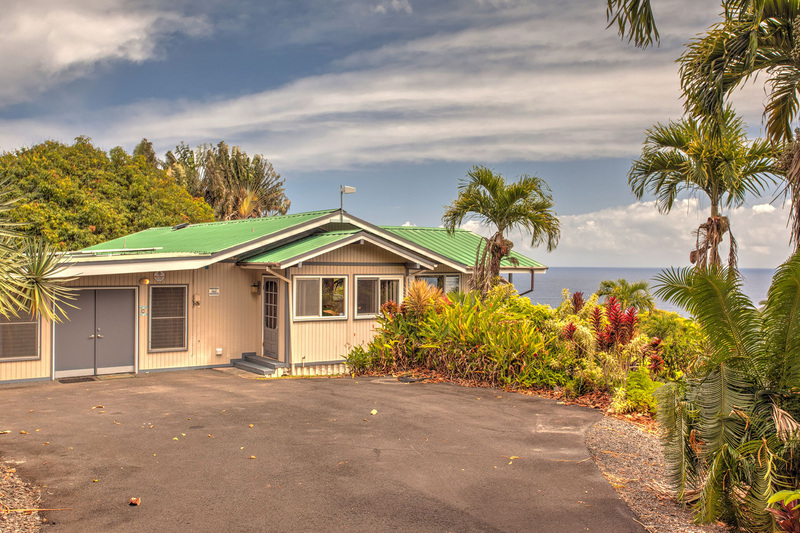 From the house, you’re only a short 20 minute drive to the south to Hilo, 20 minutes to the north to Honokaa town, Waipio Valley and from there just another few minutes to the beautiful white sandy Hapuna Beach. 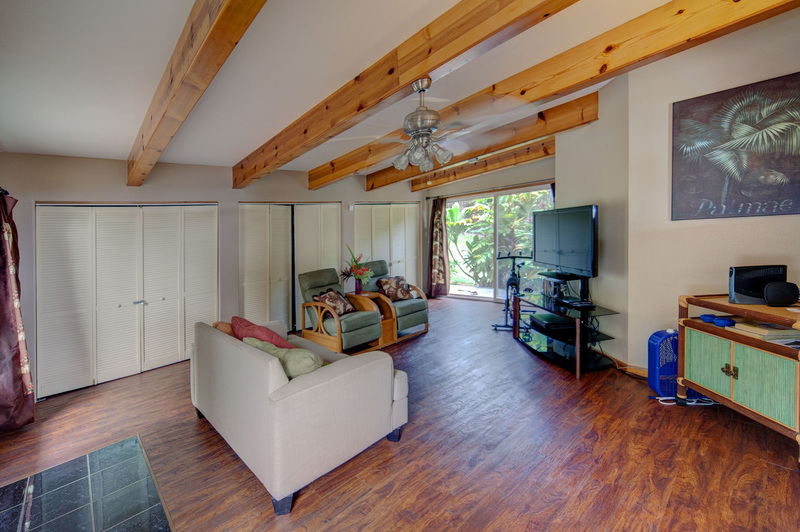 Come to Hale Hamakua, your vacation destination on the east side of the Big Island! Rates are for double occupancy. 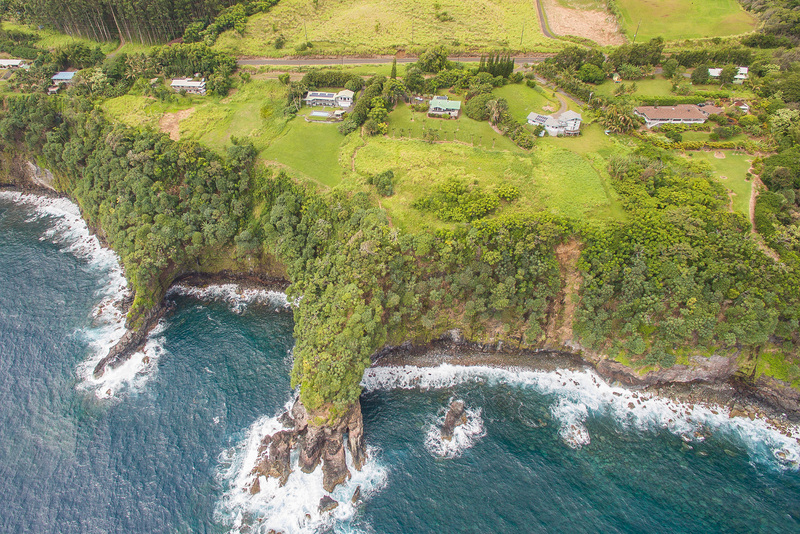 Add $25 per additional person, plus 14.689% Hawaii State taxes. Cleaning and other fees will also apply. 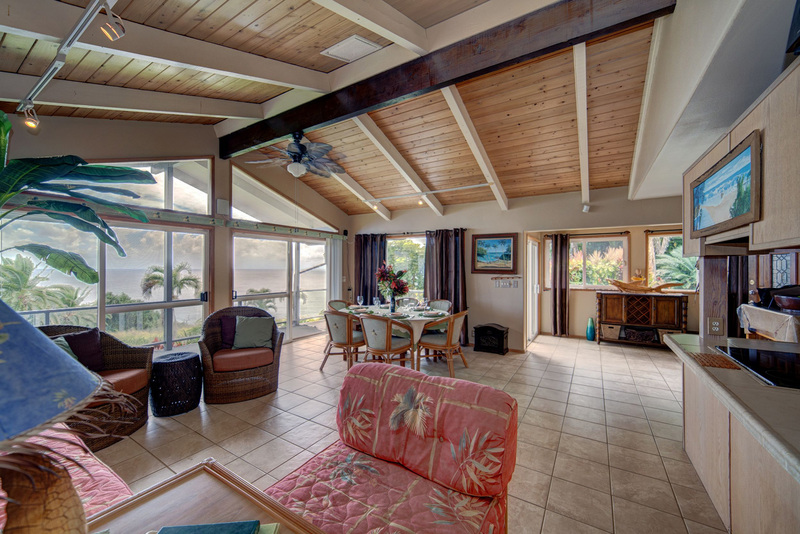 Location and View are the primary features of Hale Hamakua. 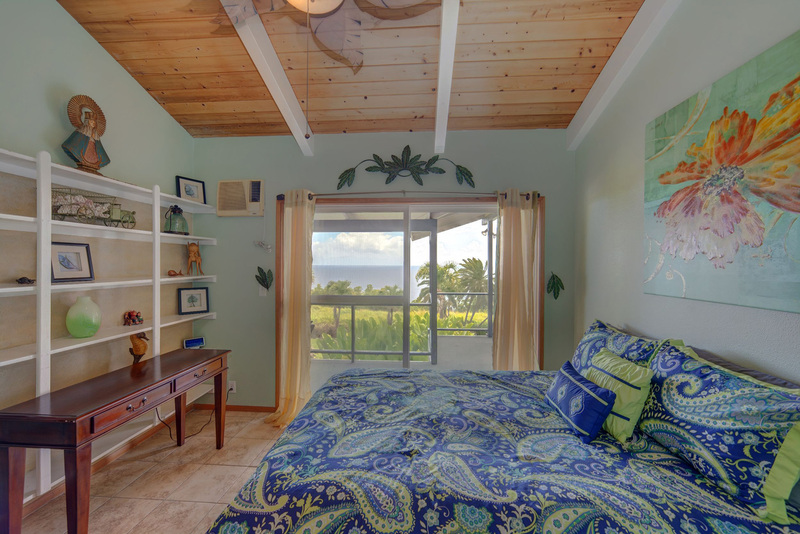 We all enjoyed waking up to the sunrise and having that early morning cup of coffee or tea on the lanai. Hilo was an easy 20 minute ride away. I think the house could use a maintenance update. Several screen sliders need to be repaired or replaced. Some windows lacked screens and could not be opened. The covers to old A/C units are rusty and unsightly and should be removed. Some furniture could be updated. Kitchen seemed reasonably equipped. Representative from the property management company was accessible before we arrived in Hawaii and during our stay. 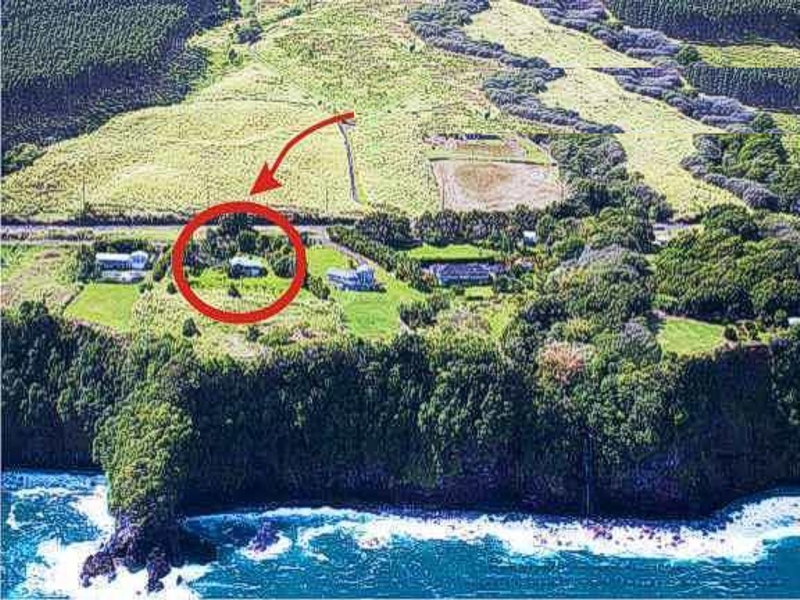 This property has a lot of potential because of the view and I would stay there again if the condition of the property, but the condition of the property could be improved. I would recommend to a friend, based on the same criteria. We’re so glad you enjoyed your stay! The home recently changed owners and the new owners are coming back this summer to start improvements on the home. Thank you feedback! We spent 10 nights at this very comfortable and private home. 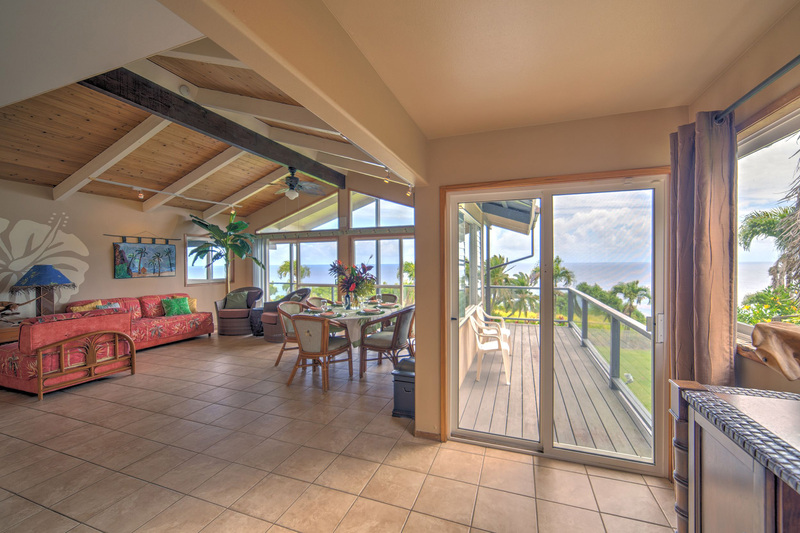 The lanai was our favorite spot. 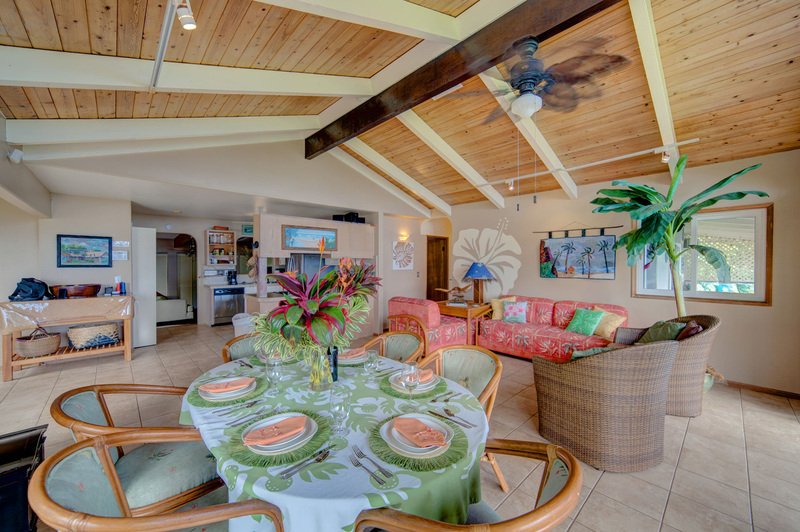 Great place for a morning cup of Kona coffee to start your day. Aloha! 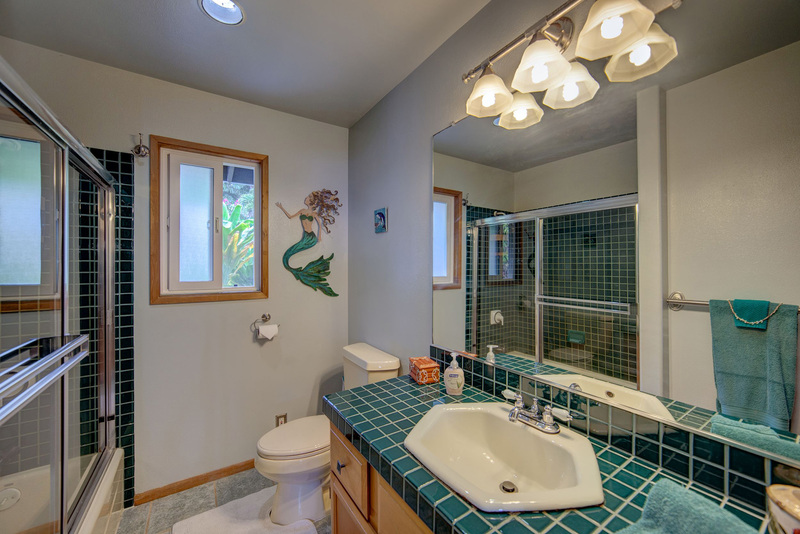 We are so happy to hear you enjoyed your comfortable and private home. 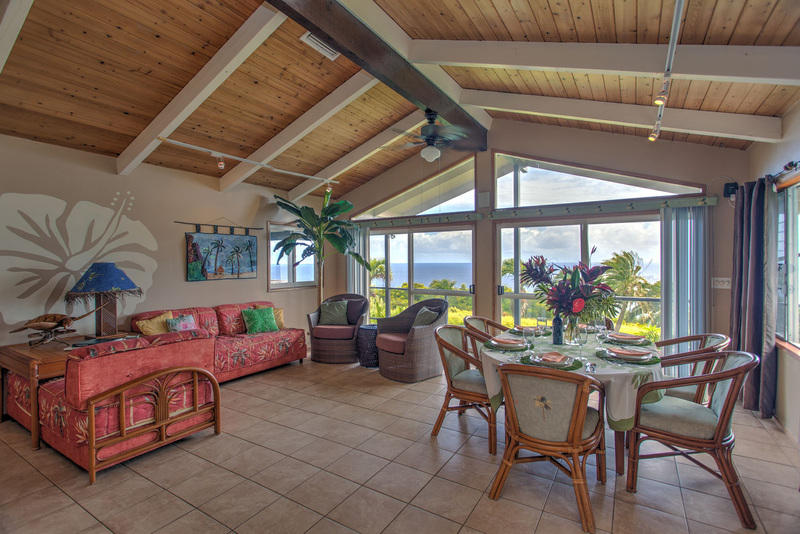 A morning cup of Kona coffee on the lanai sounds so peaceful and definitely a great way to start the day! We hope you had everything you needed for a pleasant stay with us. Thank you for your review and recommendation! We appreciate you being such wonderful guests and look forward to seeing you again on your next visit! It was an amazing stay at this nice house , with amazing view of the ocean . Aloha, Thank you for your review! We are so glad to hear you had an amazing stay at this house. 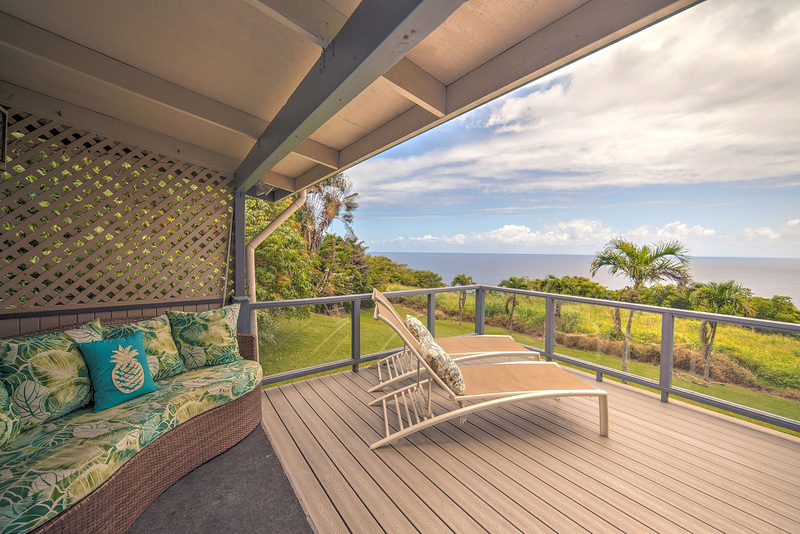 We agree, the view of the ocean is such a special feature of this home and we hope you were able to enjoy some lovely sunsets from your lanai! Mahalo for being such pleasant guests and we look forward to seeing you again soon! Wow!! This home was beautiful! !It was stocked with everything needed. The location was very private. The views were stunning. The property manager was very nice and very helpful. If we get to Hawaii again we would definitely stay here. Aloha! Thank you so much for your excellent review and for mentioning our property management team! We are so thrilled to hear you had a great stay with us and the home was stocked with everything you needed! We agree, the privacy and views from this home are a very special feature. Mahalo for being such wonderful guests and we look forward to seeing you again soon! 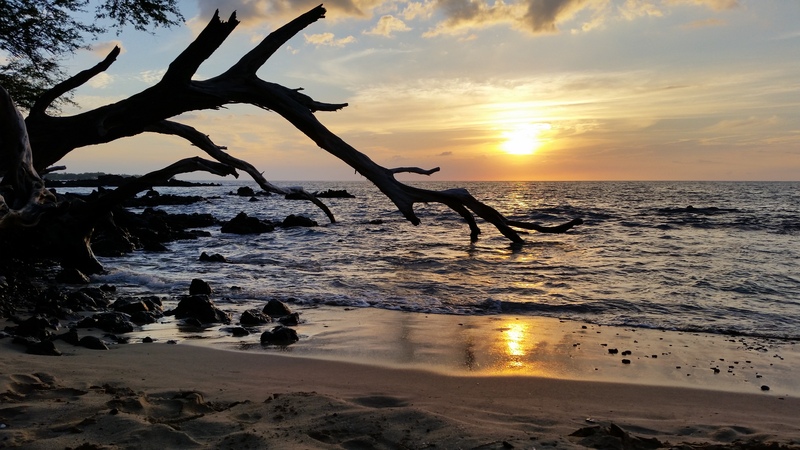 What a beautiful location to make our homebase during our time on the Big Island. We saw whales spouting from the deck as we drank our morning coffee, and spent hours at night gazing at the stars. Inside, the bedrooms were comfortable and the kitchen was well stocked with supplies. Our only tiny critique is that the living room could have use a refresh—such as a coffee table, and New chairs to replace the broken recliners. But we were so appreciative of the fresh flowers on the dining room table, and the cooler and bath towels in the closet, which were a welcome surprise and incredibly helpful for many of our daytrips. I am so happy to hear that you had a wonderful stay, and enjoyed the whale watching! We are planning on sprucing up that room with new furnishings when the new owners arrive in February. We greatly appreciate your review as well. Really beautiful view from a very nice home. For the price, a real winner other than one thing: No central air conditioning. Only 2 of the 4 bedrooms had functional window A/C units (one didn't have A/C at all, the other had a window unit that wasn't putting out cold air) and got quite warm in the rest of the house. The "family room" is a converted garage that looks fine, but only minimal seating and very warm. This on days that never got above 82. Would we go again? Absolutely. It was amazing for the 2 of us. But if you have need for more than 2 bedrooms, it might be a bit too warm. Aloha, thank you for your review and recommendation. We are glad to hear you enjoyed your stay with us regardless of the Air Conditioning, we will definitely follow up with the functionality of the units. Mahalo for being such pleasant guests and we look forward to seeing you again! We stayed long enough to locate another place to stay because the wall units were 10+ years old and it was 86 degrees. The house was HOT. We left, I was charged for 1 night and stayed 30 mins. The moon over the ocean, sunrise, all in a beautiful setting. What more could we ask for. 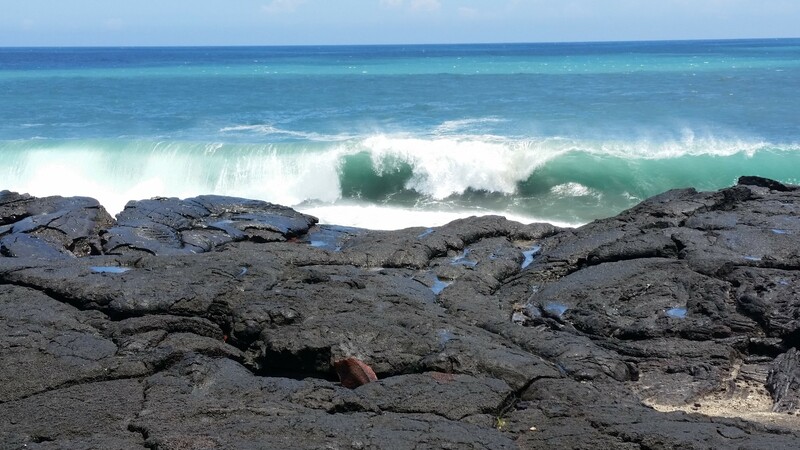 We were able to explore the parks along the coast above Hilo, go to Merriman's in Waimea, and relax. We hope to stay here again sometime. Aloha! Thank you for your review and recommendation! We hope you had everything you needed for a pleasant and memorable experience with us. It sounds like you were able to combine relaxing with exploring during your trip, and we hope you were able to create some lasting memories. We really appreciate you being such pleasant guests and we look forward to seeing you again soon! Sunrise and sunset views from home are incredible. 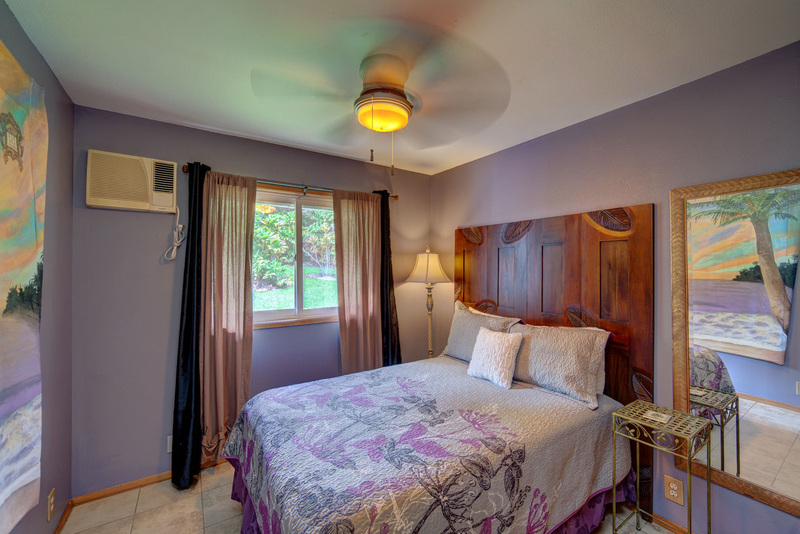 Very quiet location that is convenient to both Hilo and Waimea. Home had everything we needed. We hope to stay here again on our next visit. Aloha! Sunrise and Sunset sounds very beautiful and a great way to begin and end your day while on vacation! We are very pleased to hear you had a great stay with us and were able to enjoy some relaxing peace and quiet. Thank you for the excellent review and recommendation and we look forward to seeing you again on your next visit!